E-Shutters specialises in Plantation Shutters Beautiful, Affordable and Quick Installation. E-Shutters make beautiful elegant stylish affordable plantation shutters. 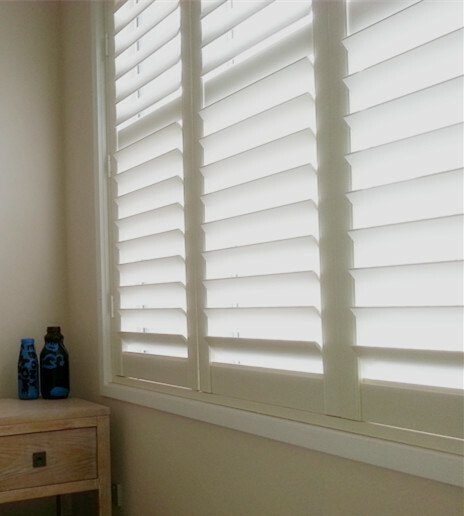 E-Shutters Sydney specialises in Plantation Shutters in Vinyl/PVC, for your home or office. Beautiful, affordable and quick delivery. Contact us for a free measure and quote. All our shutters are made to measure in Australia. All our products come factory direct! Quick service - Installation within 2 weeks. We assemble the vinyl plantation shutters locally so there is a short waiting period for installation. We also deal in wholesale sales to many clients and retailers. Affordable from $250 per square metre including GST fully installed. Use our cost calculator for a quick quote. You will be surprised to find out how great our prices are! 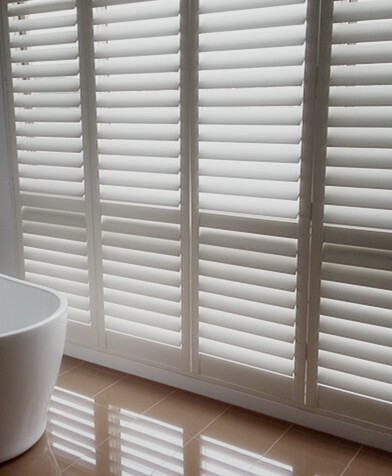 Plantation shutters require a high degree of skill and experience to install correctly. You can trust us! - we have been in business for 10 years in Australia. Rest assured of quality with our up to 7 year manufacturer's warranty on our plantation shutters. Beware of "cheap" shutter products, that could mean warping or bending blades/louvers/slats, poor and uneven paint finishes, incorrectly installed shutters and broken down joints and hinges. We are family owned business in Sydney, with over 10 years of experience. Our belief is that high quality plantations shutters should not cost a fortune. Furthermore, our customers should not have to wait a long time for their shutters to be imported from another country as all our shutters are made in Australia. Due to these reasons, our customers are very satisfied with our products and we hope to continually improve our shutters and maintain service to operate in Sydney for many years to come. E-Shutters Pty Ltd © Copyright 2014. All Rights Reserved.